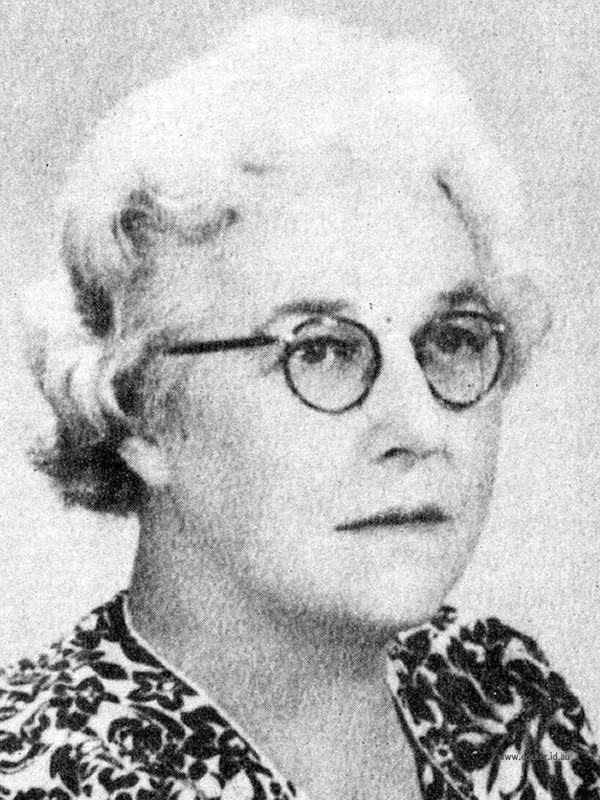 3-Silvia Mabel Appleby was born on 15 Feb 1888 in Exton, Tasmania and died on 15 Nov 1960 at age 72. Another name for Silvia was Silvi. Silvia married Robert Frederick Freeman Bailey, son of William Houston Bailey and Dinah Louise Elliot, on 5 Feb 1908 in Methodist Church, Penguin. Robert was born on 5 Mar 1875 in Campania, Tasmania and died on 1 Dec 1951 in Wivenhoe, Tasmania at age 76. Silvia later married Peter Quill at the Glenorchy Methodist Church on 24 Apr 1957. During the time they lived at Natone (1915) a big bushfire swept through the district. They had just had a new house built out of green timber and because the timber was green the house didn't catch on fire, even though the wood burnt on the wood heap. The fire started at Hampshire and burnt everything in its path to Cuprona. Horses let loose as the fire advanced had their tails singed and could only just keep ahead of the fire being driven by the wind. Robert was a very good paling splitter. Times were hard during the War years, they sold rabbits for sixpence a pair and four top quality skins would be worth one pound Australian. Silvia was a very skilled dressmaker and also an excellent cook. She at one time had a boarding house known as "Park House'', Wivenhoe. Robert died at the age of 72. 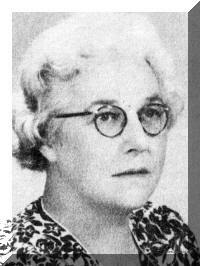 4-Marjorie Joan Bailey was born on 28 Aug 1908 in Ulverstone, Tasmania. Marjorie married Bernie Meredith Fidler, son of Joseph Fidler and Hanna Eliza Quin. Bernie was born on 19 Jun 1904 in Burnie, Tasmania and died on 20 Apr 1971 at age 66. They had one son: Trevor. 5-Trevor Fidler was born on 24 Mar 1936. Trevor married Colleen Pryde. Colleen was born on 20 Jan 1934. They had four children: Roseanne, Brett, Allison and Denise. 6-Roseanne Fidler was born on 10 Apr 1955. Roseanne married someone. She had one son: Francis. 7-Francis Fidler was born on 29 Sep 1982. 6-Brett Fidler was born on 13 Jun 1957. 6-Allison Fidler was born on 18 Oct 1959. 6-Denise Fidler was born on 21 Nov 1960. 4-William Robert Bailey was born on 12 May 1910 in Ulverstone, Tasmania and died on 17 Jun 1975 at age 65. He served in the Second World War. William married Freda Murial Willie. Freda was born on 29 Sep 1912. They had two children: Vonda June and William Charles. 5-Vonda June Bailey was born on 26 Sep 1932. 5-William Charles Bailey was born on 2 Oct 1937. William married Beryle Smith. Beryle was born on 4 Oct 1935. They had one daughter: Lisa Marie. 6-Lisa Marie Bailey was born on 29 Aug 1965. 4-Jack Trevor Bailey was born on 10 Dec 1912 in Burnie, Tasmania. Jack married Melba Laura Stafford. Melba was born on 28 Jun 1917. They had two children: Barry and Campbell William. 5-Barry Bailey was born on 20 Feb 1937. Barry married Helen May Emmerson. Helen was born on 22 Jan 1942. They had three children: Steven John, Maree Lyn and Sandra Leanne. 6-Steven John Bailey was born on 20 Apr 1966. 6-Maree Lyn Bailey was born on 28 Jun 1967. 6-Sandra Leanne Bailey was born on 2 Feb 1971. 5-Campbell William Bailey was born on 16 Apr 1938. Campbell married Margaret Ellis. Margaret was born on 25 Aug 1942. They had four children: Shane William, Glen Anthony, Garry James and Paul Campbell. 6-Shane William Bailey was born on 24 Jan 1963. Shane married someone. She had one son: William. 7-William Bailey was born on 19 Jan 1984. 6-Glen Anthony Bailey was born on 18 Jun 1965. 6-Garry James Bailey was born on 18 Jun 1965. 6-Paul Campbell Bailey was born on 27 Jun 1968. 4-Allan Murray Bailey was born on 1 Nov 1914 in Natone and died on 18 Jul 1921 in Latrobe Hospital at age 6. 4-Raymond Burdwood French Bailey was born on 28 Sep 1916 in Natone and died on 28 Sep 1979 at age 63. Raymond married Ivy Evelyn Fulford. Ivy was born on 13 Nov 1921. They had two children: Patricia June and Robert Paul. 5-Patricia June Bailey was born on 27 Nov 1945. Patricia married Robert Ian Butcher. Robert was born on 12 Jun 1939. They had two children: Brett Anthony and Mellissa Marie. 6-Brett Anthony Butcher was born on 7 Jan 1964. 6-Mellissa Marie Butcher was born on 9 Mar 1969. 5-Robert Paul Bailey was born on 17 Aug 1954. 4-Robert Sidney Bailey was born on 5 Apr 1919 in Natone and died on 23 Jun 1942 at age 23. 4-June Silvia Bailey was born on 28 Jun 1924. June married John Bateson. John was born on 27 Jul 1925. They had two children: William and Marjorie Ann. 5-William Bateson was born on 29 Aug 1953. William married Dorothy May Grant. Dorothy was born on 13 Oct 1953. 5-Marjorie Ann Bateson was born on 3 Jan 1955. Marjorie married Tana Joseph Osborne. Tana was born on 24 Feb 1954. They had two children: Siamon William and Melanie June. 6-Siamon William Osborne was born on 22 Nov 1977. 6-Melanie June Osborne was born on 19 Jan 1980.